This is a new, thoughtful way to negotiate where everyone wins. And I do mean everyone - you, me, the other people at the table, the public, the environment… the whole entire word. With the Dalai Lama being the peaceful type, you may be thinking to yourself - does negotiating like the Dalai Lama mean laying down? Well no, it doesn't. It means getting exactly what you want, while making sure the other side gets exactly what they need. On top of that, you make sure the good of everyone else gets met as well. Step 1: Smile (and have a sense of humor). Remember, after the negotiation the people at the table do not disappear. When the deal ends, you'll be doing business together so be nice, have fun and make friends when ever possible. Step 2: Sit together (be on the same side of the negotiating table). When you sit across from others, you're often seen as the challenger. You want to be on the same team, and friends sit together. Lose the table, or find a glass one because transparency and closeness is the key to friendship. Step 3: Find out what problems they want to solve (then help them solve those problems) In 'one-win-everything' we have added a new technique to negotiating, it's called 'helping'. Discover the other side's problems, then help them solve them. Simple. Step 4: Never get angry (No matter what - don’t get angry). Someone will probably offend you, it’s nothing personal so don’t get mad. Take a calming breath in, then out. Think, one-win-everything. Step 5: Ask 'how does this effect the rest of the world'? If this is a win for all, move forward. If not, figure out if and how you can make it a one-win-everything before moving forward. And if you cannot, walk away. Step 6: If someone is rude, start over (return to Step 1: Smile). Begin again - never let others influence you in a negative way. Instead, do your best to influence them in a positive way, or walk away. Step 7: Never say no (instead, give the other person an 'mpossible "yes, if"). This is a very sly Dalai Lama negotiation tactic... never say "no". Always say, "yes, if", then add an impossible contingency. Let's say you are negotiating with a big oil company who want to drill a well on your bird sanctuary. They tell you: "Our study shows it's impossible not to spill any oil, and it kill many endangered birds, but we want to drill anyway." You want to say: "No way," however using the Dalai Lama's technique you won't have to. Instead, you say, "yes, if you find a way to do it where not a single drop oil gets spilled and not a single birds gets harmed. Plus, you pay me $10,000,000,000 dollars for every harmed bird - do we have a deal?" You won't have to say no because they'll say it for you - because of your impossible contingency. 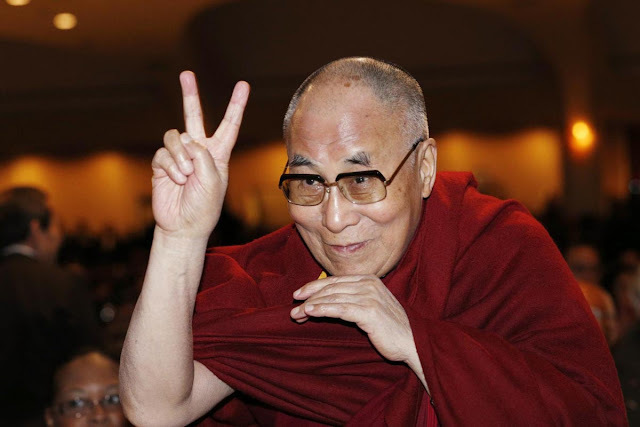 The Dalai-Lama says "yes, if" and lets the other side say "no". I hope you'll only use your new found negotiating powers for good. And for now, i'll leave the last word to the Dalai Lama: "There is no hundred per cent winner, no hundred per cent loser - not that way but half-and-half. That is the practical way, the only way." Since meeting some friends from Hong Kong at the recent dance festivals, and having promised some ex-colleagues that I'd go back to the island to visit them, I've been wondering about the places I can go to dance when I'm there. Well, guess I don't have to wonder much further, and have since compiled a list of places to check out the local dancing scene. If you feel that there's some changes I need to put in, do feel free to let me know. Again, if you feel that I left out any locations to dance, do drop me a message at info [at] mikeyip.com or message me on Facebook. Until then, I'll see you on the dance floor. For people in the Klang Valley looking for faster ways to lodge police reports for non-criminal cases such as lost identity cards or passports can do so online now. The Online Police Reporting System, which is available at http://ereporting.rmp.gov.my, means complainants no longer have to go to the police station to make a report. E-reporting is open for Malaysians aged 18 and above. “In 2015 and 2016, 80% to 90% of reports lodged in Kuala Lumpur involved people losing their IC or passports, misplacing handphones, and runaway maids,” said City police chief Comm Datuk Amar Singh. "E-reporting would make the process easier for these people." Besides e-reporting, there is also the Online Checking System at http://sso.rmp.gov.my, which allows people who have lodged police reports to check the progress of their case. I tested it over the weekend as the chip on my MyKad is faulty but there was a bit of bounced connection from the site. Hopefully they will improve on the backend to keep up with the incoming traffic. As many as half of adults sometimes snore. Snoring occurs when air flows past relaxed tissues in the throat, causing the tissues to vibrate as you breathe, which creates those irritating sounds. Sometimes snoring may indicate a serious health condition. In addition, snoring can be a nuisance to your partner. In addition, medical devices and surgery are available that may reduce disruptive snoring. However, these aren’t suitable or necessary for everyone who snores. • If you’re overweight, lose weight. People who are overweight may have extra tissues in the throat that contribute to snoring. Losing weight can help reduce snoring. • Sleep on your side. Lying on your back allows your tongue to fall backward into your throat, narrowing your airway and partially obstructing airflow. Try sleeping on your side. If you find that you always end up on your back in the middle of the night, try sewing a tennis ball in the back of your pyjama top. • Raise the head of your bed. Raising the head of your bed by about 10cm may help. • Nasal strips or an external nasal dilator. Adhesive strips applied to the bridge of the nose help many people increase the area of their nasal passage, enhancing their breathing. A nasal dilator is a stiffened adhesive strip applied externally across the nostrils that may help decrease airflow resistance so you breathe easier. Nasal strips and external nasal dilators aren’t effective for people with sleep apnoea, however. • Treat nasal congestion or obstruction. Having allergies or a deviated septum can limit airflow through your nose. This forces you to breathe through your mouth, increasing the likelihood of snoring. • Don’t use an oral or spray decongestant for more than three days in a row for acute congestion unless directed to do so by your doctor. Long-term use of these medications can have a rebound effect and make your congestion worse. Ask your doctor about a prescription steroid spray if you have chronic congestion. • Limit or avoid alcohol and sedatives. Avoid drinking alcoholic beverages at least two hours before bedtime, and let your doctor know about your snoring before taking sedatives. Sedatives and alcohol depress your central nervous system, causing excessive relaxation of muscles, including the tissues in your throat. • Quit smoking. Smoking cessation may reduce snoring, in addition to having numerous other health benefits. • Get enough sleep. Adults should aim for at least seven to eight hours of sleep per night. The recommended hours of sleep for children vary by age. Preschool-aged children should get 11 to 12 hours a day. School-age children need at least 10 hours a day, and teens should have nine to 10 hours a day. See your doctor if you have any of the above symptoms. These may indicate your snoring is caused by a more serious condition, such as obstructive sleep apnoea. If your child snores, ask your paediatrician about it. Children can have obstructive sleep apnoea too. Nose and throat problems – such as enlarged tonsils – and obesity often can narrow a child’s airway, which can lead to your child developing sleep apnoea. 1. The Portuguese Gordinho D'Eredia, son of a Portuguese mariner and a Malaccan lady from Macassar, referred (circa 1600) in his writings to a Malaccan ruler called 'Permicuri.' Not much more information emerged from this source. The Sejarah Melayu for example, makes no mention of a Parameswara at all. 2. The Portuguese mariner Tom Pires who lived in Melaka, referred to a ‘Xaquem Darxa’ and a ‘Modafarxa’ in his 1513 Suma Oriental . The two visits to China in 1414 and 1424 were also to report the deaths of Parameswara and Megat Iskandar Shah respectively, and to re-affirm the close relationship between China and Melaka. All three Rulers of Melaka and their envoys made their respective journeys to China in one of Admiral Zheng He's (Cheng Ho) several fleet-ships. It is clear from these records that Parameswara never converted to Islam. He was an Indian Hindu or an Indian/Malay/Aboriginal Malay mixed Hindu who fled Palembang in Sumatra to eventually found Melaka circa 1400 AD. It was Sri Maharaja who converted himself and the court of Melaka to Islam, and as a result took on the name of Sultan Muhammad Shah (possibly the ‘Modarfaxa’ of Tom Pires) sometime after 1435. Megat Iskandar Shah was thought to have changed his name after marriage to a Pasai princess, the name ‘Megat’ signifying a marriage between a commoner and one of royal stature. But his conversion to Islam is in doubt, given that his son was named Sri Maharaja and therefore, the possibility of another non-Malay wife emerges. These details of Parameswara and the succession to the Melakan throne were resolved definitively by our own Professor Wang Gungwu in his paper ‘The First Three Rulers of Melaka’ published in 1968. This is the basis on which current school history text-books are constructed vis- B -vis the Melaka Sultanate. With regard to Raja Chula, we can take a more definitive stance, ie, that without a shadow of a doubt, this is a reference to Raja Chulan/Cholan of the Chola Dynasty (7-13 century AD) of South India. The most famous of these Indian Hindu Kings were Rajaraja Chola and his son Rajendra Chola who invaded Southern Thailand, Kedah, Perak, Johor and Sumatra about 1000 AD. With regard to the legend of Hang Tuah and questions about his origin/ancestry, I believe that many have been misled that Tuah and his musketeers were of Chinese descent. That it was verified by DNA tests. Such a claim can be found on the Internet and refer to a source, viz., The Federal Association of Archaeology and Research of Michigan, USA. This is a spurious claim and the association referred to, in fact, does not exist. There is also a hypothesis that ‘Hang’ is associated with the Chinese Princess Hang Li Po from China who married Sultan Mansur Shah of Melaka in 1459. But there is nothing offered by way of tangible proof/evidence by those who espouse this line of thinking. What is true though, is that, Hang Tuah is dismissed in a single line in school history text-books. The Education Ministry will have to answer this mystery. But what is really sad is that our children are taught as though Malaysian history suddenly began in 1400 with an Islamic Melaka. The cultural influences of India in particular, and China, in South East Asia span over 2,000 years, starting perhaps with the arrival from India of the Brahmanical prince/scholar Aji Saka in Java in AD78, through to Vietnam, Cambodia (Indo China), Thailand, Burma, Indonesia, Bali, Borneo, Brunei and beyond. We are led to believe that the Indians and Chinese first arrived on the shores of Malaysia in about 1850 as desperate indentured labourers, farmers and miners. Nothing could be further from the truth. The findings at Bujang Valley speak of an ancient Indian/Hindu presence in Kedah. There were Chinese settlements in Pahang and Kelantan around the 13 th -14 th century and in 12 th century in Singapore. The early Brunei Sultanate had a Chinese Queen. One need not ponder at length the implications of Angkor Wat and Borobudur or that 40%-50% of Bahasa Malaysia comprises Sanskrit/Tamil words. Why is the study of Hang Tuah taken out from our school history text books? 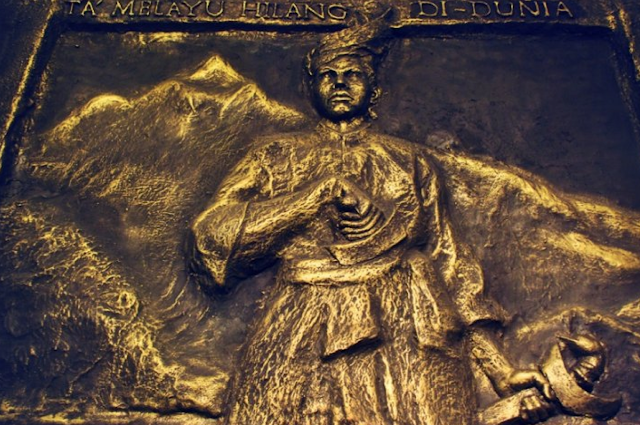 Even if Hang Tuah’s a different race altogether, what significance does it do to our history? The time has arrived for us to record our history as the facts tell us and not as we would like to wish it for. The truth will never hurt anyone. Lies, always will. I am where I am today because I have been allowed to fail. Learning from failure builds character, and teaches us so much more than not trying ever will. But don’t just take my word for it, read this letter from my mum, Eve Branson. We saw it in you from virtually the first moment you began to talk. But even before that, when you learned to walk we realised we were going to have our hands full; you were just a toddler but you were clearly someone who liked to do things his own way and on your own terms. To make matters even more interesting, as you grew you perpetually had some crazy new scheme or other up your sleeve that you were convinced was either going to change the world, make lots of money, or both! On a few such occasions we would say things like, ‘Oh don’t be ridiculous, Ricky! That’s never going to work.’ More often than not, however, your father and I instead opted to give you plenty of scope to learn by your mistakes and so left you to get on with your Christmas tree growing, bird breeding and all the other weird and wonderful enterprises you came up with. Almost without exception they all ended in some form of a disaster with us picking up the pieces – literally and metaphorically – but we’d soldier on and just kept hoping that one day the lessons learned would help you in life. And that certainly would seem to have turned out to be the case. After a rocky beginning, once you and Virgin had become an established success, Ted and I would often ponder on just how differently you might have turned out had we been more controlling, or some might say ‘better’, parents. What if we had insisted that you not take so many silly risks and, rather than allowing you to drop out of school at sixteen, forced you to buckle down and complete your education? Like your headmaster at Stowe, who famously (now) predicted that by twenty-one you would either be in jail or a millionaire, we too shared some very serious misgivings about what the future might have in store for you. As we now know, of course, we needn’t have worried. What we saw as being a pig-headed little boy who was utterly determined to do his own thing, turned out to be nothing more than the growing pains of a budding entrepreneur. If only we had been able to recognise that at the time we might have had a lot fewer sleepless nights! Too often adults keep kids safe, ‘protecting’ them from the hurt that’s associated with failure. This is a big mistake. The more children are told they can’t do something, the more they will lose their curiosity and determination. I am grateful to have had encouraging parents, who instead of blockading and trouncing my curiosity, allowed me to figure things out on my own accord. For those looking for the demo videos, look no further, but these are just the few that I managed to record as I was running around a lot during the workshop part of ALFA. I'll try to upload more if I could get my hands on the rest of the other workshop videos. Until then, looking forward to seeing you guys at the next festival. The performance videos are up! Do take note that these are not the official videos as these are recorded off my little camera. The performances are from Saturday and Sunday night for your enjoyment. If you are looking for the photos, it's here. 1. Ronie, Stefanie, Hannah & Florian Urban Kizz Demo. 2. Zoukeros Prime aka JXT Zouk Team. 5. COSMOVES STUDENT PERFORMANCE TEAM. 6. Alex Bryan & Karen Lacey. That's all the videos from Saturday night. Below are the videos from Sunday night. 1. Jaxen Tan & Sara Lim. 3. Alex Bryan & Karen Lacey. Hope you like all the performances that was featured and we'll see you at the next festival. For friends that's been waiting for the photos from ALFA. Wait no more, you can check out the galleries below. The 3 days 4 nights of dancing doesn't seem sufficient as there's just so much to learn and I didn't want the instructors to stop teaching. But all good things must come to an end so until the next one, we'll just have to hold the urge back or pursue the education elsewhere until the next festival comes around. That's all the party we've experienced over the past 3 days and 4 nights. 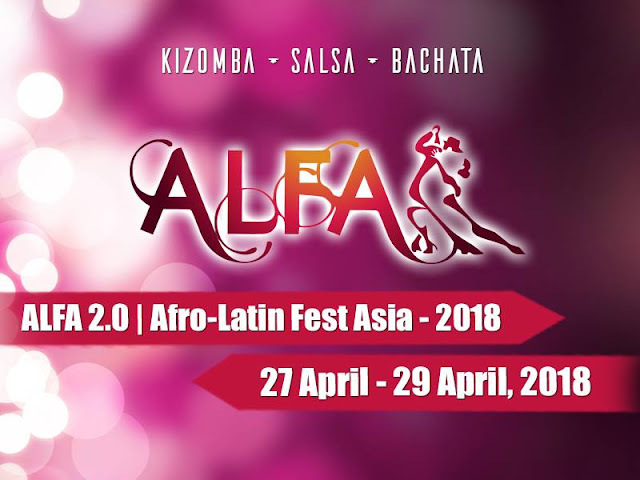 I'm disappointed because it isn't a longer festival but then we won't be able to look forward to ALFA 2.0 in 2018! Yup, save the date now ALFA is going to be back next year! 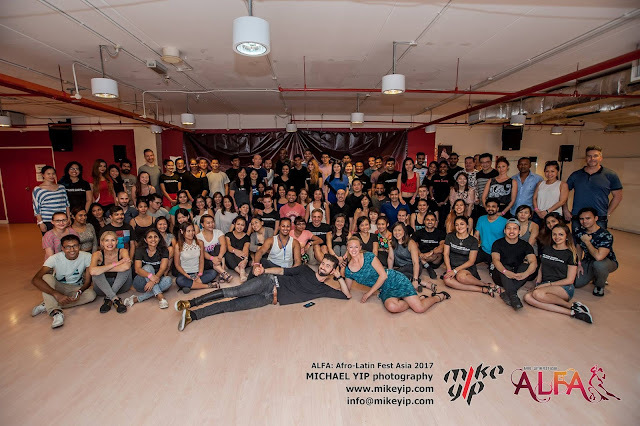 For Festival organizers, if you would like me to cover your event like what I did for ALFA, do drop me a mail at info @ mikeyip.com or via Facebook Message.